Our High Speed Soil Stirrer is fabricated as per IS: 2720 (Part IV). 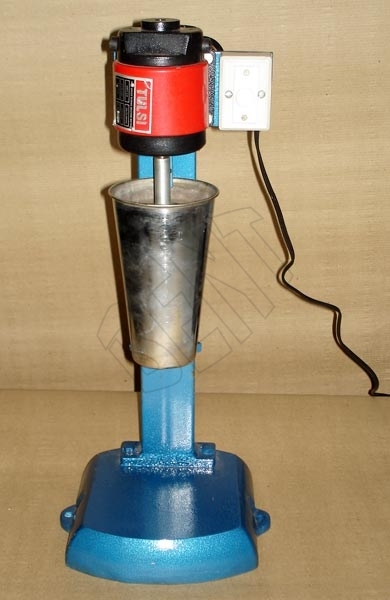 High Speed Soil Stirrer is used for mechanical analysis and also other lab applications for stirring. The speed of High Speed Soil Stirrer is approximately 4000 r.p.m. A dispersion cup is supported on a rest on the stand of the High Speed Soil Stirrer and has a removable baffle. A regulator is also provided for speed regulation.